2000-02 F-Body, LS1, CNC mandrel bent 304 2 1/2" stainless. Designed to fit factory manifolds and shorty aftermarket headers using factory y-pipes. 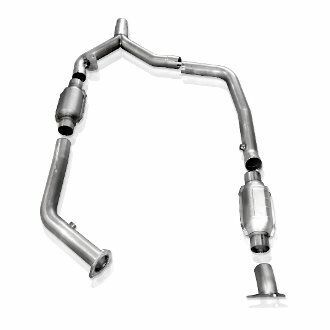 Includes dual high flow catalytic converters.